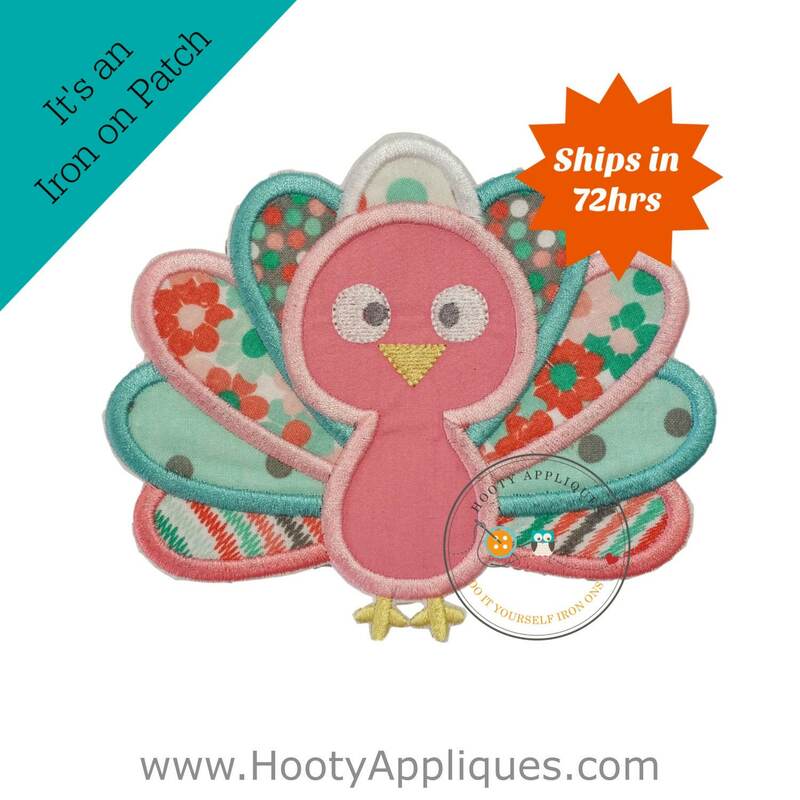 Charming pastel baby turkey embroidered fabric iron on applique. This sweet Thanksgiving holiday iron on is done is pastel pink, teal and white color fabric and embroidery thread. 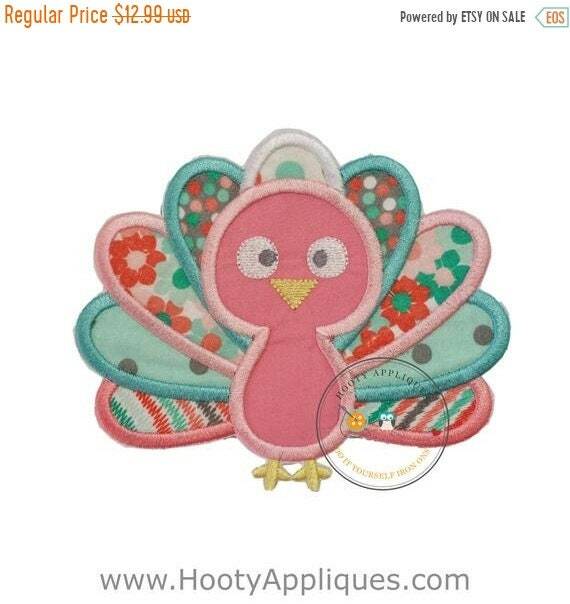 Add this turkey applique to a onesie for babies first Thanksgiving or add it to a blanket to embellish that November due baby. Mom is going to fall in love with this cottage chic embroidered turkey no matter where you added it. *Patch measures 5.75 inches wide by 5.0 inches tall.